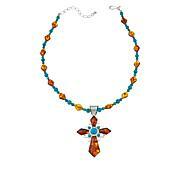 Take a walk on the wild side with this unusual colored opal necklace from Jay King. 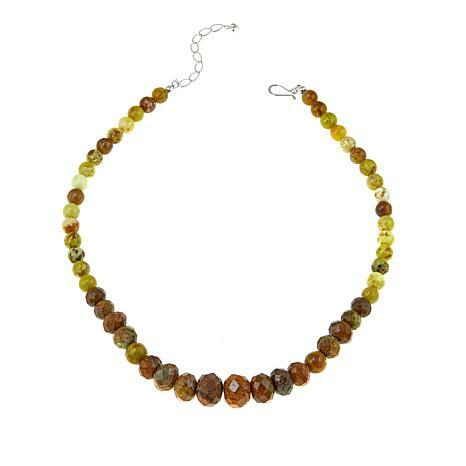 It features vivid, multi-colored brown and green opal from Australia and Madagascar. 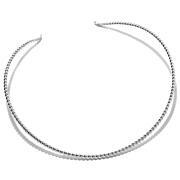 Beautiful, faceted beads strung in a graduated silhouette create a stand-out style statement every time you wear it! Im not a big fan of opal and wasnt sure I would like this necklace but this necklace is stunning and will match so many different pieces of clothing. Give it a chance to wow you - it will!! Not a coloration that I'd typically gravitate to, but very glad that I did. The colors are varied and unusual. [My Jay King tip - - if you open the box, and aren't quite sure if the piece is for you, I recommend waiting a week and wearing it in different lighting both indoors and outdoors. 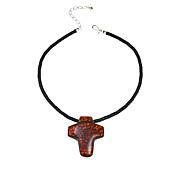 That gives you the opportunity to see what the stones truly offer] If you do that, you'll really appreciate this necklace! 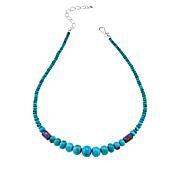 I love the design of the mixed faceted and round beads. Despite the beads being more brownish green, the necklace is striking against my black sweater and denim shirt. The overall quality of this piece is probably fine but it was nothing special. Just blah. Didn't add to any of my outfits or make a statement of any kind. Sent it back.